9 million people in the world die every year from pollution-related causes. But how often do you hear about pollution as a global health threat? Not very often, I imagine. In the U.S., most of us don’t see heaps of trash everywhere we look, or make a living by burning harmful metals in our backyard, or drink water that comes from a source directly downstream from an industrial dump site. Like many issues of our day, communicating the significance and urgency of pollution is challenging because for many people it is out of sight, out of mind. Unlike many issues of our day, pollution is completely solvable. Solvable! So how do you get people’s attention to communicate a) the urgency and b) the solvability? I think by now, you probably can guess the answer to that question is “tell a story,” and it is. BUT as always, there’s more to it than that. Pure Earth is an international non-profit that has been successfully tackling the global pollution crisis, step-by-step. 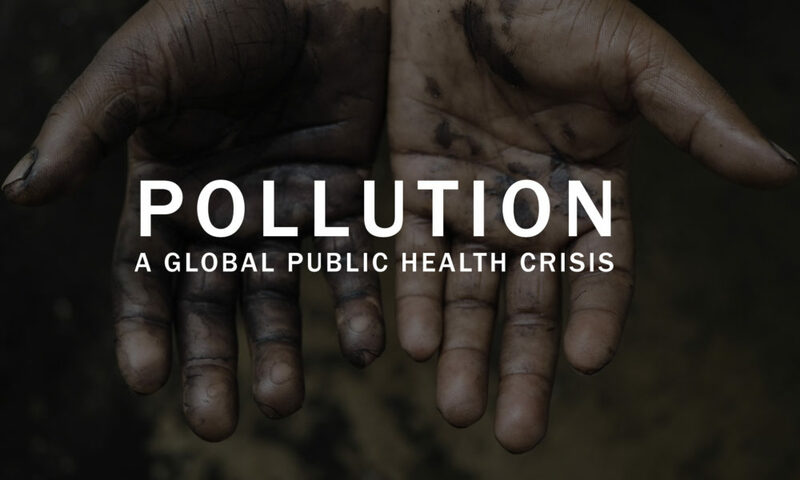 They recently partnered with 50 experts in public health, global environmental policy, and economics, to write a comprehensive report that would shine a light on the true impact of pollution. That landmark report was published in The Lancet this fall. So you have this groundbreaking report, full of evidence-based information about your issue and the urgent need for there to be more attention paid to it, but the audience for such a dense report – even one published in such a prestigious journal – is limited. But in order for the video to have this effect, it can’t be weighed down by the dense numbers, policy recommendations, fundraising needs, etc. It has to stand on its own and not feel like you’re hitting people over the head with your message and your ask. The video is a launching point for the dense numbers, policy recommendations, and fundraising ask. It is the thing that gets your audience in the space where they are wide-eyed and listening. For this project, we were commissioned by Pure Earth to take the key findings of the report, and uncover ways to tell stories that would illustrate the challenges and the fact that there are clear ways to tackle this problem. The resounding message is that this is a huge problem and given the attention it deserves this issue can be solved. SOLVED. We created a mini-doc that could be used as a companion piece to the report. Something they could show at events and conferences to grab people’s attention and ground them in the importance of the issue. The mini-doc is currently being screened at events around the world – Delhi, Doha, Ottawa, Mexico City, and on. We also worked with them to create targeted excerpts of the piece that could be used to accompany press releases and in social media campaigns. The 1:30 minute trailer we created was sent out with every press release. The story was picked up by numerous global media outlets, including CNN and CBS. This project would not have been possible without our incredible collaborator Julia Wall, and photo, video, and sound contributions by: Larry C. Price & The Pulitzer Center for Crisis Reporting, The World Bank Group, Hugh Siegel, and Pure Earth.